Hello, fabulouses! Welcome to this week’s Beauty Tues which is all about my new fragrance brand addiction–Creed. After chatting with Tara Powell, Creed fragrance expert at Saks Fifth Avenue of Birmingham, about the history of Creed and some popular scents, I was immediately inspired to blog about it. When and where did the oldest privately owned fragrance house gain its start? Once upon a time–a long, long time ago, the Creed family tailored to royalty. By tailored, I mean they supplied royal families with custom-fitted clothing and scented leather gloves. In 1781, Royal English Leather, the first Creed fragrance ever, was created for King George III and his court. “He [James Creed] wanted King George III to be able to rest his chin on his gloved hand and inhale the glove’s fine aroma.” (www.creedboutique.com) Royal English Leather is still manufactured and available for purchase today. Famous people like King George III, Queen Victoria, Winston Churchill, John F. Kennedy, and Audrey Hepburn wore Creed–AMAZING! 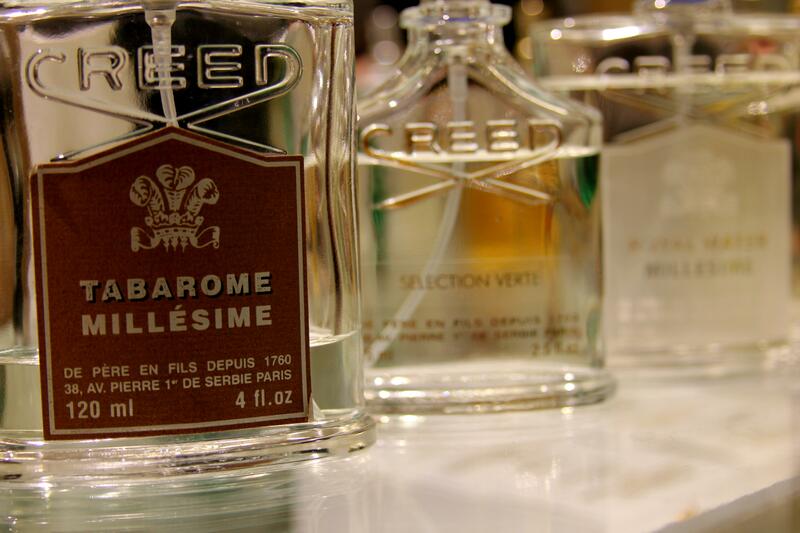 With just one spritz of Creed, I feel like I am wearing a little piece of history! This is what my future man will smell like. I am sure of it. 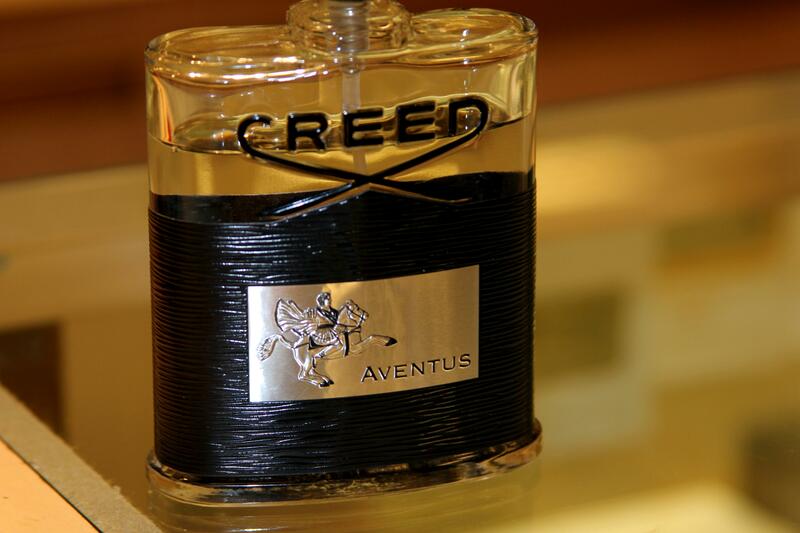 “Aventus was inspired by Napoleon and was debuted in 2010. This is our best-selling men’s fragrance here at Creed. It smells so good,” said Tara as we chatted about Aventus. I am adding Spring Flower, Audrey Hepburn’s Creed perfume, to my Christmas list! 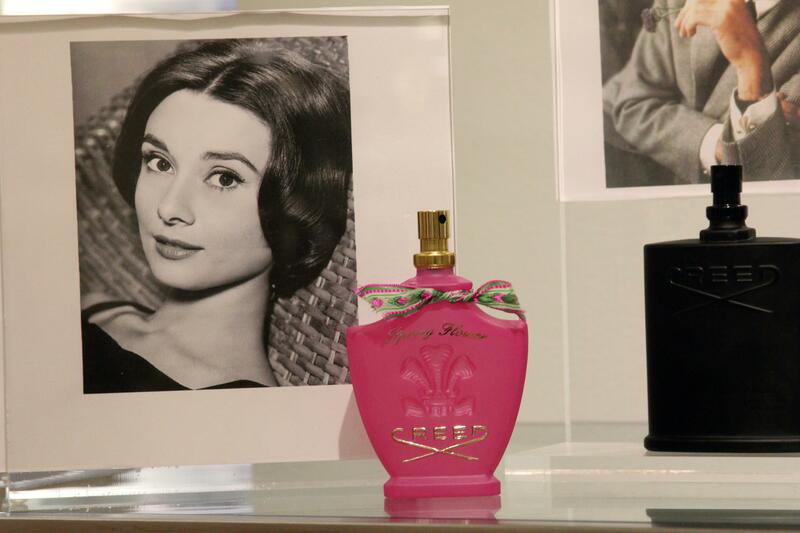 I want to smell like Audrey Hepburn once did…what fashionista doesn’t! 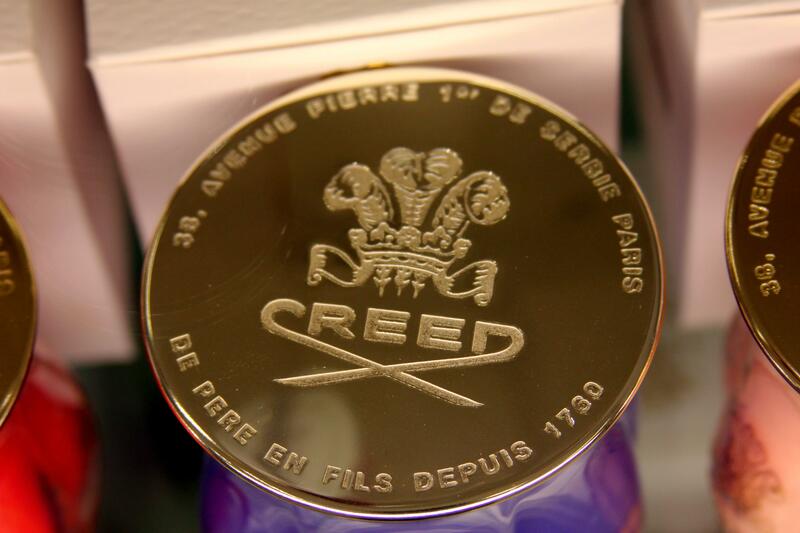 To learn more about Creed’s history and their magnificent fragrances, stop by Saks Fifth Avenue in Birmingham, Alabama or visit www.creedboutique.com. Y’all already know how much I love Jo Malone so I am not going to bore y’all with the details again! See my blog post about Jo Malone here. Jo Malone at Saks Fifth Avenue in Birmingham will have an artist in this Wednesday, November 4, from 3pm-6pm hand painting Jo Malone boxes with a Jo Malone purchase. “These boxes are so adorable, and they make a great keepsake,” explains Darla Osborne, Jo Malone fragrance expert at S5A Birmingham.